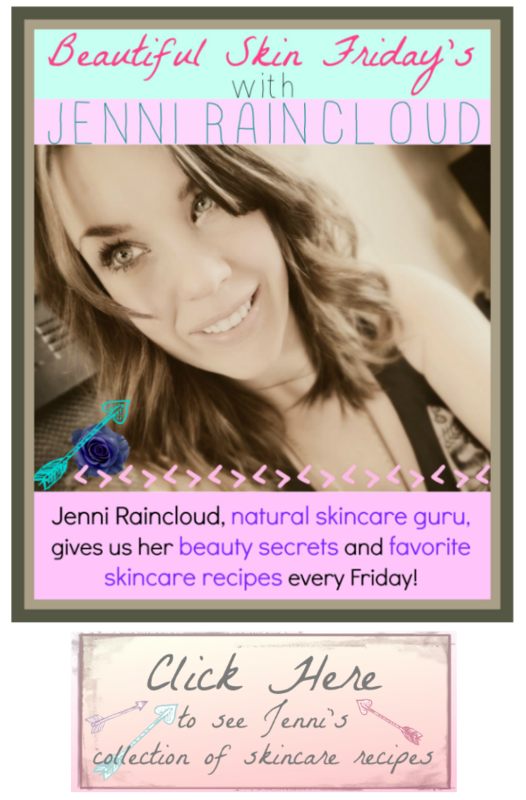 Jenni, my favorite all natural skincare guru and blogger at Jenni Raincloud, is here for another rendition of Beautiful Skin Fridays! 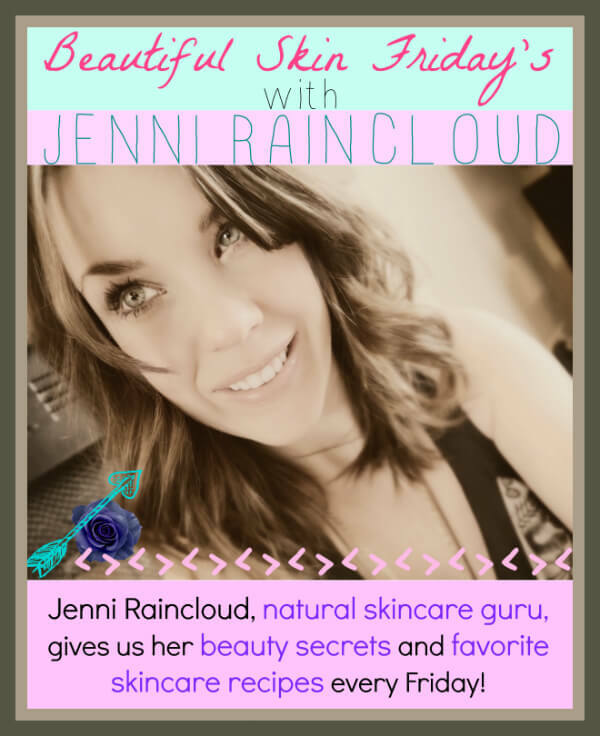 I absolutely adore Jenni and her blog that’s chock full of the most amazing natural skincare and beauty recipes (love!!!). Enjoy her post today as she spills her beauty secrets about ways to get glowing skin! Hi everyone! 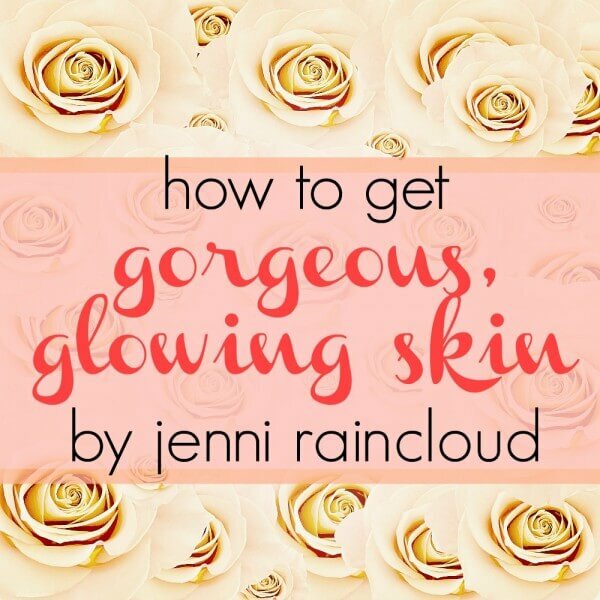 Jenni here for your Beautiful Skin Friday! Today I’m going to share with you my tried and true tips on feeling and looking gorgeous!!! 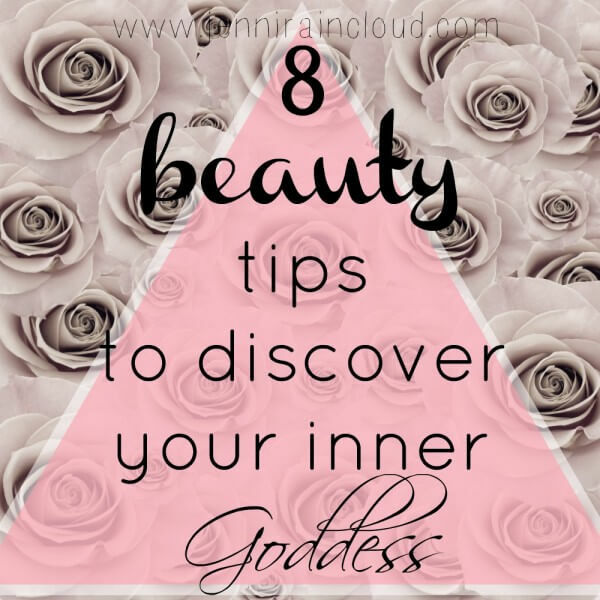 I believe we all have an inner goddess, but life gets piled on top of her on a daily basis! 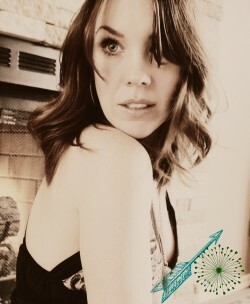 It’s hard to feel pretty when your to-do list is a mile long and everyone is pulling on you in every which way! 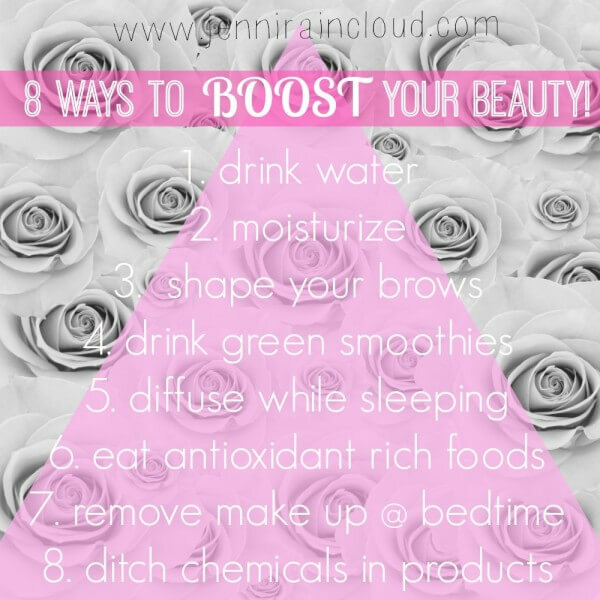 While it is a constant battle, I wanted to share with you a few easy ways to get gorgeous glowing skin! I try to drink 3 quarts of water a day. It’s a lot, but the more you can drink the more hydrated and clear your skin will be. Drinking water hydrates skin cells. If skin cells are dehydrated they can not function properly-which means dryness. Prolonged dryness of the skin results in wrinkles and gives skin an over all dull appearance. I love diffusing essential oils. Not only does it make my home smell great, it also cleanses the air and infuses the air with moisture. Having a diffuser(find it HERE) on your night stand while you sleep, hydrates as well as delivers essential oils to the skin. I always diffuse lavender (find it HERE). It is an essential oil that is good for every skin type-not to mention it’s relaxing benefits to your mind! Green smoothies balance pH levels and blood sugar. While juicing has some amazing benefits, blending helps the skin more-Fiber is removed when you juice. A smoothie provides the fiber you need to eliminate toxins, if you know what I mean…… Plus because smoothies are easy on the digestive system, you are allowing your body to put it’s energy into detoxing and cleansing. Eye brows are my thing. I LOVE eye brows. Eye brows define a first impression. I used to shape brows for a living and more times then I can count, a client would come in looking tired and aged. Shaping her brows, giving her a proper arch and removing stray hairs that grew too low on the brow bone gave her an instant eye lift. She walked out of the spa a different woman. Go here for more info. on brow shaping. I can’t stress enough what moisturizing can do for skin. Often when someone is dehydrated and suffers from dry skin, wrinkles tend to be very prominent. Most of the time, when the body becomes more hydrated and a proper moisturizer is used on a regular basis, lines become notably less visible. 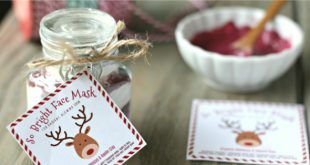 (moisturizer recipe HERE) Here’s a tip-always apply a moisturizer after your shower. The steam from the shower opens the pores, making it easier for a cream to penetrate deeper. Studies have proven that eating antioxidants slows down the signs of aging. Antioxidants rid the body of free radicals. Free radicals are oxygen molecules that are created naturally by the body as well as brought on by pollution, smoking, bad diet and chemical laden products. They attack healthy skin cells. This speeds up aging. Free radicals can cause inflammation and tissue damage associated with aging. Foods rich in Vitamin C, another powerful antioxidant, helps the body to remodel and reconstruct skin’s collagen. When you don’t properly cleanse your skin before bed time you are not allowing your skin to breath. You are also leaving all the grit and grime from the day on your face, not to mention, contaminating your pillow! If you would like to see the effects of not removing your make up over a prolonged amount of time READ THIS. I prefer the Oil Cleansing Method for my evening skin routine. Learn more HERE. 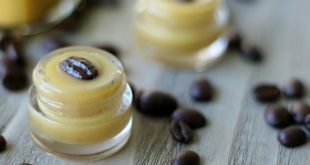 This method has softened and smoothed my skin. After you cleanse you should always moisturize. Getting in this simple habit will save your skin from premature aging. Unfortunately the skin care industry is not regulated by any association. This means there is no one blowing the whistle on unsafe ingredients. Skin care product companies often omit listing certain ingredients on their label most likely because they are questionable. Making your own products ensures simple and safe ingredients. It’s really simple-when the skin is out of balance, skin issues arise. Find balance and the skin will respond. 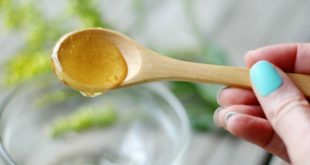 You can find balance by using organic oils to moisturize and cleanse, using a simple toner (recipe HERE) and when needed, a serum (recipe HERE) and eye treatment (recipe HERE). Working in the skin care industry, it never ceased to amaze me all the gimmicks product companies push. I believe more is less in most cases. You can confuse your skin with too many products and knock it off balance. Chances are, ingredients you can’t pronounce and don’t recognize will not serve your skin. However, if you are not a DIYer, a few skin care and makeup companies to check out are Eminence, Juice Beauty and Tarte Cosmetics. Number 8 – have you ever been on the website ewg.org/skindeep? It’s very handy but I like making my own products too! Lorie, I have not but I’ll check it out! Thanks! 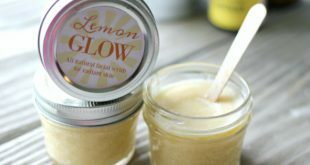 This article has good idea about to get glowing skin, i would gladly to follow these ideas.